This post is sponsored by Delta Faucet. All opinions and the love of the brand are my own. 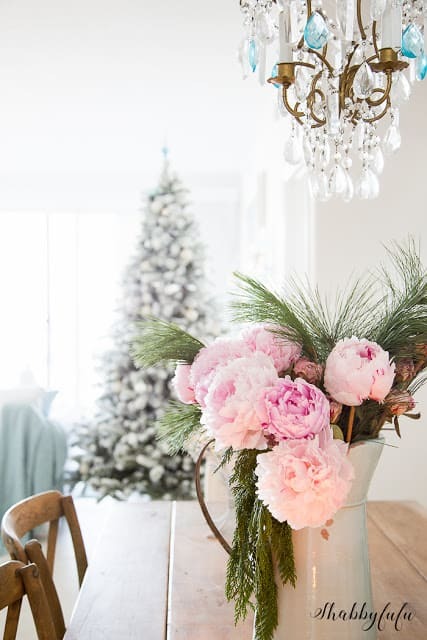 Small changes can really have large impact and when the budget isn’t allowing you to make those huge coveted upgrades you need to prioritize. 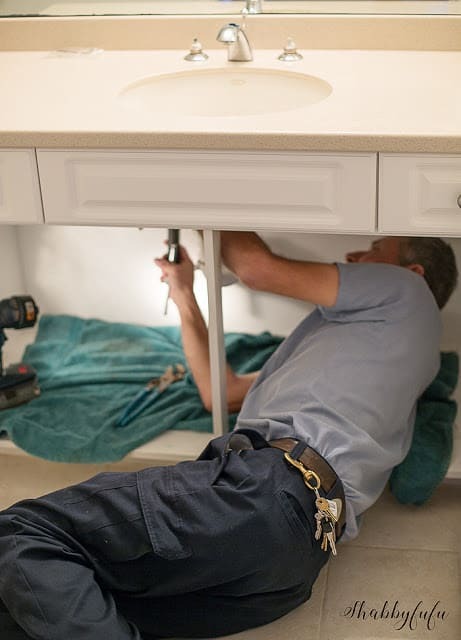 Since we have worked really hard over the years to have two homes and both of them are often in need of repairs and updates, we just can’t do it all! We have had our beach place since it was built about 13 years ago and everything in it is builder grade. Some things we changed out right away, like light fixtures…since you know how much I’m a light -fixture – aholic! The one below…definitely an upgrade and it was something that I found at a vintage sale. 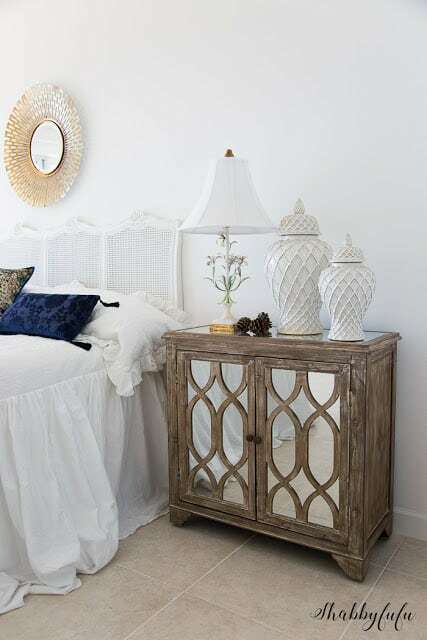 One change of a light fixture made this room sparkle and shine. We had some damage in a hurricane shortly after moving in and prior to installing shutters, so we had to rip out the master bedroom carpet and install our tile floors. Luckily we were able to match the existing floors, but if I had to do it all over and start from scratch I would do the tile that looks like wood. It’s pretty realistic and we use it in our construction business for clients. Change out the existing cabinet knobs and pulls, easy enough. 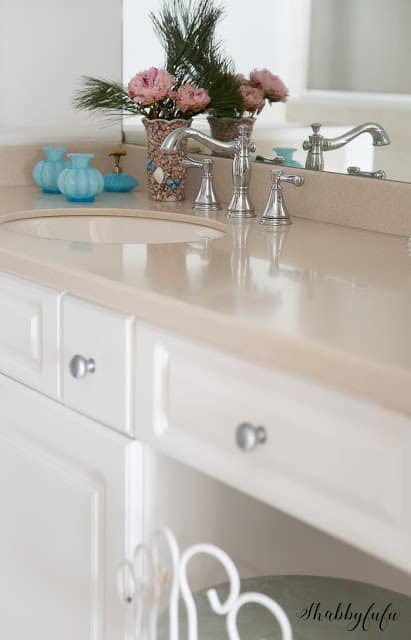 Remove the large wall mirrors in both main bathrooms that are outdated and replace with round or oval pivot mirrors. Replace the light fixture in the guest bath. 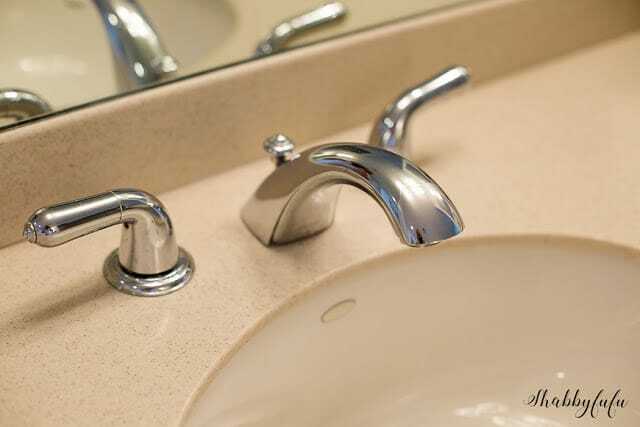 Repaint the powder room and install a new faucet set to the existing pedestal sink. 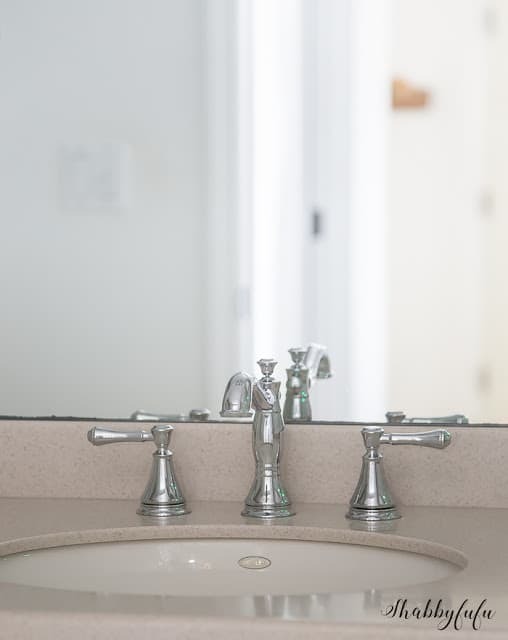 Faucet sets can make a HUGE difference and I just partnered up with my friends at DELTA FAUCET again to create a little magic in “the beach place”. 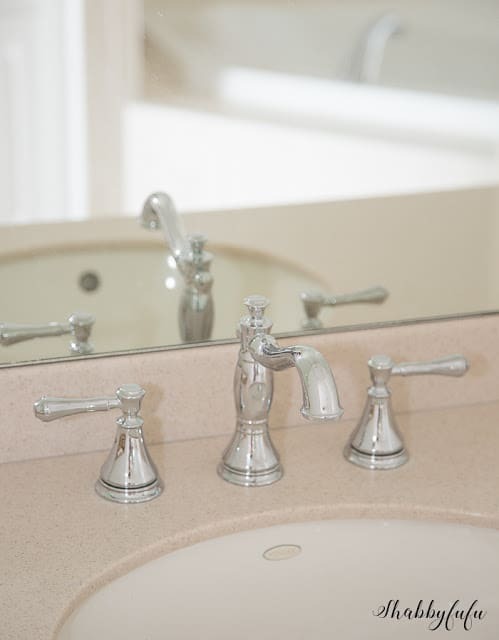 There was nothing wrong with the existing faucet sets which were in perfect condition, and they were Delta Faucets too. 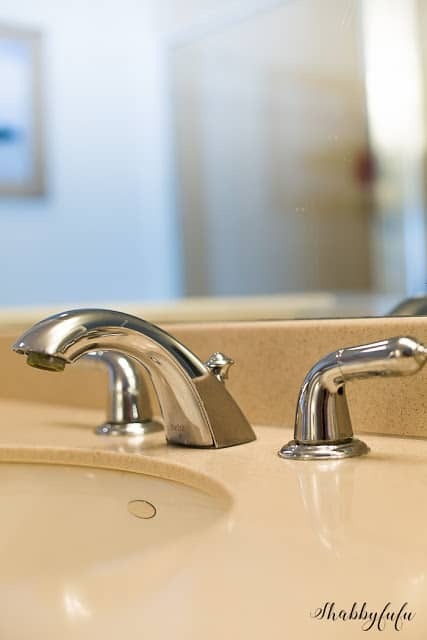 I have my vision though for the bathrooms and although I would LOVE to be able to replace everything (especially the countertops) I know that small changes can yield BIG RESULTS! 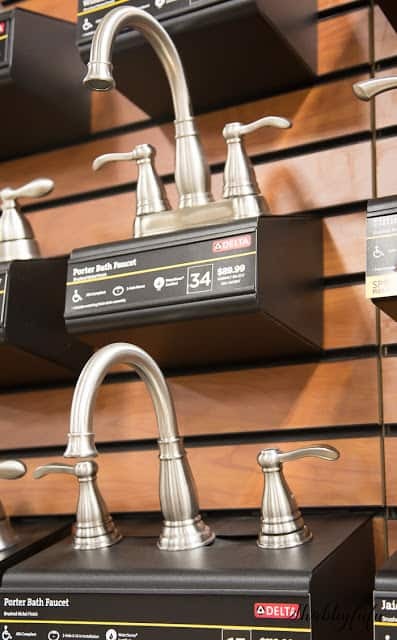 So I went looking…and I love feminine lines, which DELTA FAUCET does carry. 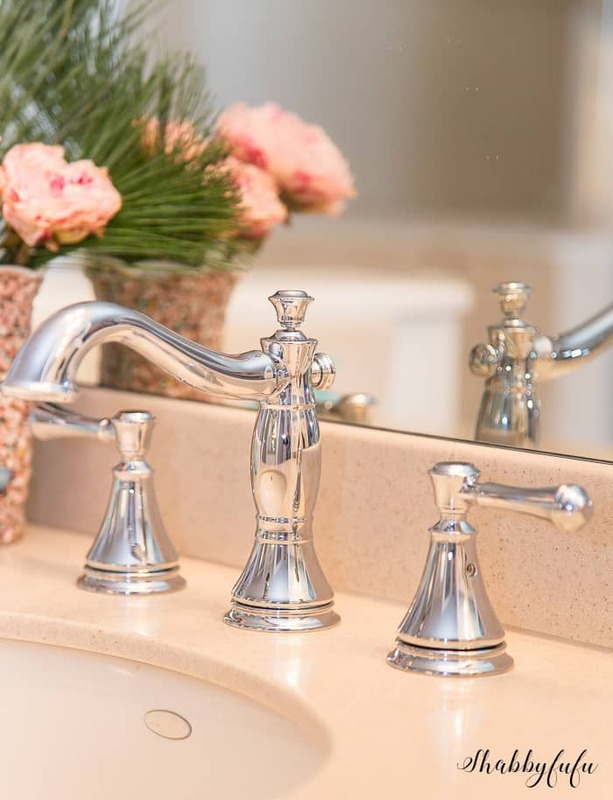 I decided on the CASSIDY BATHROOM COLLECTION from Delta and went with polished chrome which is timeless and not trendy. Been there and done that with bronze and gold and they seem to go in and out over time. Polished chrome works well in a beach environment that can be harsh. Out with the old…and you can see that they look great, but I was going for a high arc spout. Thanks to Oliver’s Plumbing for coming out on short notice, as always. Neither of these two bathrooms have a window unfortunately, so the lighting situation isn’t idea for photos….but you can see the old here and the Corian counters that someday we will replace. 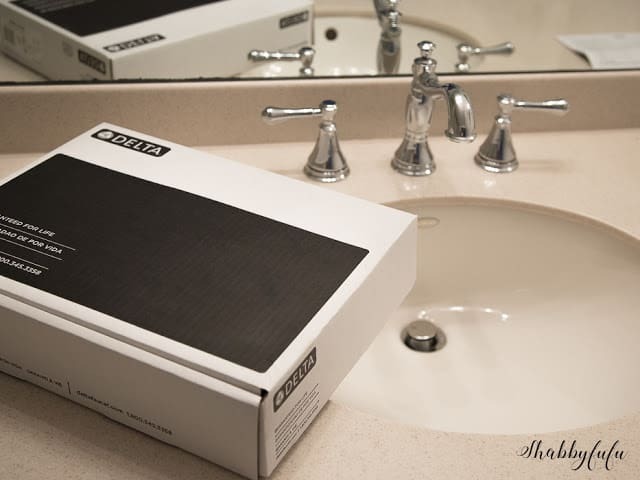 Did you know that you can use your existing faucets when you change out counters and sinks? Yes you can…so that is what we plan on when our budget permits us changing these out. 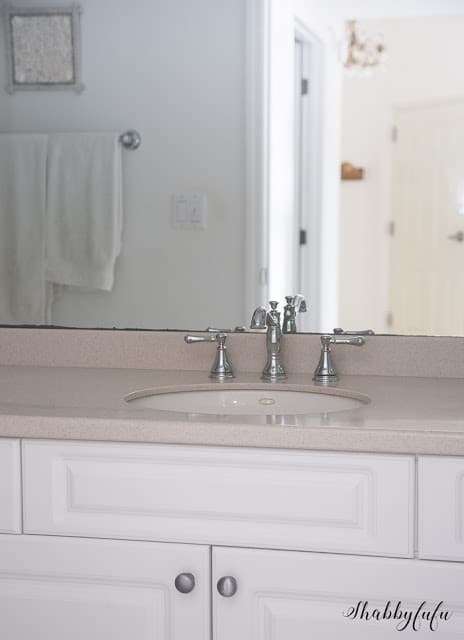 Small changes but I think a big difference…mirror removal, new pulls and knobs come next!Thank you to DELTA FAUCET for our fabulous faucets…all opinions and the love of working with Delta is completely and honestly my own.